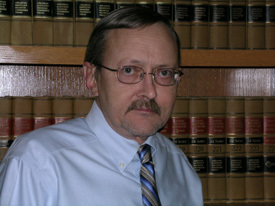 Ray Green has over three decades of experience defending people charged with drug-related offenses. At your consultation, after hearing the details of your case, he can tell you how he can defend you. Call (512) 396-5385 to schedule a consultation. Below you will find the punishment ranges for drug offenses. Probation can be granted for all drug offenses and in many cases, does away with having to serve any jail time. Also, depending upon the facts of the case, there is a possibility that the charge can be dismissed, without the necessity of a trial. Possession of a usable amount of marijuana of 2 ounces or less is a class B misdemeanor offense, punishable by up to 180 days in jail and a fine of up to $2,000. Possession of more than 2 ounces of marijuana up to 4 ounces is a class A misdemeanor offense, punishable by up to 1 year in jail and a fine of up to $4,000. Possession of more than 4 ounces of marijuana up to 5 pounds is a state jail felony, punishable by 180 days to 2 years in jail and a fine of up to $10,000. Possession of more than 5 pounds of marijuana up to 50 pounds is a 3rd degree felony offense punishable by 2 to 10 years in prison and a fine of up to $10,000. However, probation can be granted for all drug offenses. Delivery of .25 ounces or less of marijuana, where the person delivering the drug does not receive payment, is a class B misdemeanor offense, punishable by up to 180 days in jail and a fine of up to $2,000. Delivery of .25 ounces or less of marijuana, where the person delivering the drug receives payment, is a class A misdemeanor offense, punishable by up to 1 year in jail and a fine of up to $4,000. Delivery of more than .25 ounces of marijuana up to 5 pounds is a state jail felony, punishable by 180 days to 2 years in jail and a fine of up to $10,000. Delivery of more than 5 pounds of marijuana up to 50 pounds is a 2nd degree felony offense punishable by 2 to 20 years in prison and a fine of up to $10,000. However, probation can be granted for all drug offenses. Possession of a 1 gram or less of cocaine is a state jail felony, punishable by 180 days to 2 years in jail and a fine of up to $10,000. Possession of more than 1 gram of cocaine up to 4 grams is a 3rd degree felony, punishable by 2 to 10 years in prison and a fine of up to $10,000. Possession of more than 4 grams and up to 200 grams is a 2nd degree felony, punishable by 2 to 20 years in prison and a fine of up to $10,000. Possession of more than 200 grams up to 400 grams is a 1st degree felony, punishable by 5 to 99 years or life in prison and a fine of up to $10,000. However, probation can be granted for all drug offenses. Delivery of a 1 gram or less of cocaine is a state jail felony, punishable by 180 days to 2 years in jail and a fine of up to $10,000. Delivery of more than 1 gram of cocaine up to 4 grams is a 2nd degree felony, punishable by 2 to 20 years in prison and a fine of up to $10,000. Delivery of more than 4 grams and up to 200 grams is a 1st degree felony, punishable by 5 to 99 years or life in prison and a fine of up to $10,000. However, probation can be granted for all drug offenses. Possession of a 1 gram or less of methamphetamine is a state jail felony, punishable by 180 days to 2 years in jail and a fine of up to $10,000. Possession of more than 1 gram of methamphetamine up to 4 grams is a 3rd degree felony, punishable by 2 to 10 years in prison and a fine of up to $10,000. Possession of more than 4 grams and up to 200 grams is a 2nd degree felony, punishable by 2 to 20 years in prison and a fine of up to $10,000. Possession of more than 200 grams up to 400 grams is a 1st degree felony, punishable by 5 to 99 years or life in prison and a fine of up to $10,000. However, probation can be granted for all drug offenses. Delivery of a 1 gram or less of methamphetamine is a state jail felony, punishable by 180 days to 2 years in jail and a fine of up to $10,000. Delivery of more than 1 gram of methamphetamine up to 4 grams is a 2nd degree felony, punishable by 2 to 20 years in prison and a fine of up to $10,000. Delivery of more than 4 grams and up to 200 grams is a 1st degree felony, punishable by 5 to 99 years or life in prison and a fine of up to $10,000. However, probation can be granted for all drug offenses.